Video: Did you know ‘Patriot Act with Hasan Minhaj’ uses a laugh track (whose name is Kevin)? Watch: Did you know ‘Patriot Act with Hasan Minhaj’ uses a laugh track (whose name is Kevin)? Obviously, it is hard to tell when Hasan Minhaj is serious. Indian-origin comedian and satirist Hasan Minhaj’s show Patriot Act with Hasan Minhaj has wrapped up its second volume after six episodes. 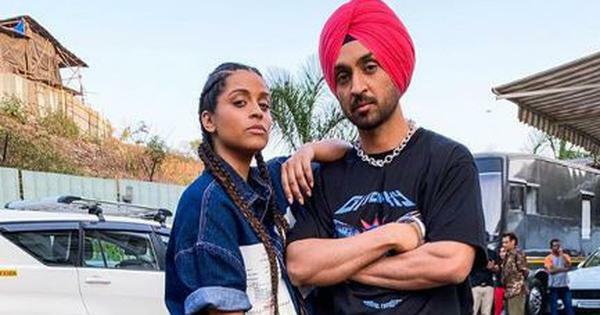 The last episode of the second volume, released on Netflix on March 17, was about the coming Lok Sabha elections in India and resonated quite well with Minhaj’s Indian audience. It doesn’t stop there. The video introduces viewers to Kevin, who, apparently, is the laugh track on Patriot Act with Hasan Minhaj. Being a laugh track is not just about laughing, Kevin explains. For him, it involves getting up at 3 am every morning and working out, running, and keeping his mouth at a certain temperature all day. Minhaj and Kevin also demonstrate a short sequence of how the host acts like he’s talking to the audience during the show but it’s just Kevin. According to Minhaj, Kevin was poached from the comedy show The Big Bang Theory for Patriot Act with Hasan Minhaj.